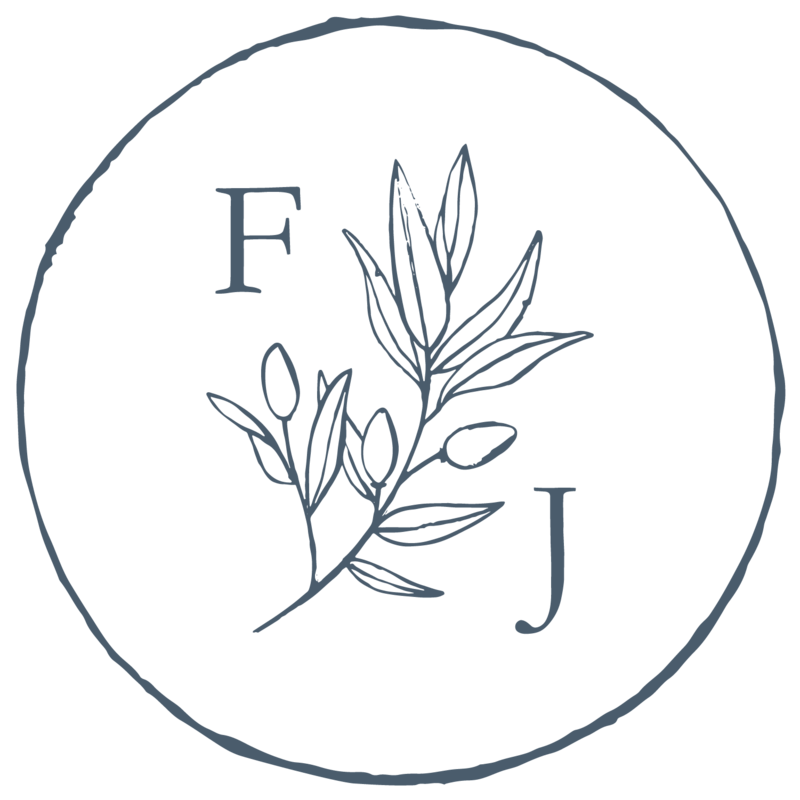 Flowers by Janie Inc. is a boutique floral studio specializing in fresh floral design for weddings and large corporate and personal events. At Flowers by Janie, we are passionate about flowers and love creating fresh floral designs that are natural, modern and sophisticated. Whether your event style is romantic, vintage, classic, woodland or something in-between we love combining shape, color and texture to create artistic designs that are both exquisite and inspiring. We are a floral team with a private floral studio located in Southeast Calgary, Alberta. We are located minutes from The Bow Valley Ranche Restaurant and The Lake House on Lake Bonavista. We service Calgary and area, Canmore, Banff & Lake Louise. Consultations are by appointment only. We, Oscar & Janelle (Janie), are a husband & wife led floral team. We fell in love in the city of La Paz- Bolivia, South America in 2008 and were married two years later in December 2010. Together we created the fresh floral décor for both our Bolivian & Canadian weddings! We love working as a team to exceed our clients’ expectations and achieve their floral vision creating beautiful and unique designs. Our design style is natural, modern & sophisticated. We look forward to hearing your love story and how our team can create stunning florals to enhance your special day. Janelle is a certified floral designer with over 18 years of experience. She received her Certificate of Commercial Floristry at Olds College in Olds, Alberta while studying with a Swedish Master Florist. Janelle loves to travel and learn new floral styles and techniques. She has international floral design experience having worked as a florist in four countries on three different continents; Canada, Mexico, New Zealand and Bolivia. She received her nickname, Janie, while working at Flowers on 9th, a floral shop, located in Lethbridge, Alberta where she began specializing in wedding design work while finishing her Bachelor of Management Degree at the University of Lethbridge. Janie has studied with many well known floral designers such as Holly Chapple, Steve Moore (Sinclair & Moore), Nick Priestly (Mood Flowers UK), Shane Connolly (UK), Susanne Hatwood (The Blue Carrot), Paula Pryke and many more. Brenda joined Flowers by Janie in the fall of 2014. Brenda grew up on Vancouver Island but has called Calgary home for the past 15 years where she lives with her husband, daughter and son. She's always been creative and enjoys working with her hands painting, decorating, crafting or adding personal home decor touches to her home. She finds being creative with flowers to be very fulfilling and she enjoys enriching other people’s lives with beautiful florals. Her favorite flower is the White O'Hara garden rose. She loves the colour, texture and the amazing aroma! We are happy and blessed to have her on our floral team as she is a natural with flowers and design! Jessie joined Flowers by Janie the summer of 2015 as a contract floral designer. She studied floral design at Mount Royal and has been in the floral industry for 10 years. Her favorite flowers change with the season; plum ranunculus in spring, lush roses in summer and fall and white phalaenopsis orchids in the winter. When she isn't flowering you can find her creating string art or in the mountains camping or skiing with her husband and son. She and her husband are the founders of the Abby Award Foundation, created in memory of her daughter Abrielle who is her daily creative inspiration. Abrielle was her protege, mess maker, crafter and her world. More information can be found at abbyaward.com. Jessie is constantly making us laugh and keeps spirits high in the design studio! We are happy to have her on the team! Rebecca is originally from Brazil but moved to Canada when her father became the director of the Calgary Philharmonic Orchestra. Music and creativity have always been a huge part of Rebecca's life. She grew up playing piano, singing and jamming with her siblings. She also enjoys calligraphy, event design, photography and of course flowers! She discovered a deep passion for flowers when she started working with weddings (she worked for Reflections Weddings for two wedding seasons), and having them delivered was by far her favourite moment of the day. Rebecca married her husband Jonatas in July 2017 and having met Janie via her work with Reflections, hired Flowers by Janie as her wedding florist (and Oscar as her videographer- Castaño Media). Her wedding day was the happiest day of her life and she wishes she could have taken the flowers with her on the honeymoon! Flowers are Rebecca's happy place and we are thrilled she is on our team!